Home » Health Optimization » The Emergency Department Is Healthcare’s One-Night Stand. Are We Ready To Address It? The Emergency Department Is Healthcare’s One-Night Stand. Are We Ready To Address It? Hit and quit it. This taboo phrase signifying a one-night stand may make one a bit uncomfortable, yet most can’t look away. Except in healthcare, we’ve been looking away for decades. Every day millions of Americans seek these ‘no-strings attached’ encounters with our healthcare system. They are trips to the emergency department (ED). According to CDC, over 130 million ED visits occur annually, at a cost of over $30 billion. While the exact number of unnecessary visits to the ED is unknown, a considerable portion occur among low-income, Medicaid recipients. Academic scholars opine profusely about this problem, health system leaders shake their heads in board rooms while devising strategies to offset the financial hemorrhaging and insurers wring their hands in defeat quarter after quarter, year after year, as they pore over the data, feeling somewhat hopeless as if they are powerless to influence the trends. The reasons for ED use have been discussed ad nauseam and you can likely derive one or two from logic. They are not surprising: inability to secure an appointment, the provider office recommended a visit to the ED, a sudden need for a prescription refill, a perception that ED care is superior, low health literacy and inability to self-triage. Some may believe ED use is primarily correlated with inadequate access to health insurance and providers. While this is true is many rural areas, it doesn’t hold true for most urban areas like Washington, DC, where engagement is the challenge rather than access. A few years ago, the Oregon health insurance experiment demonstrated an initial 40% increase in ED use after Medicaid expansion. 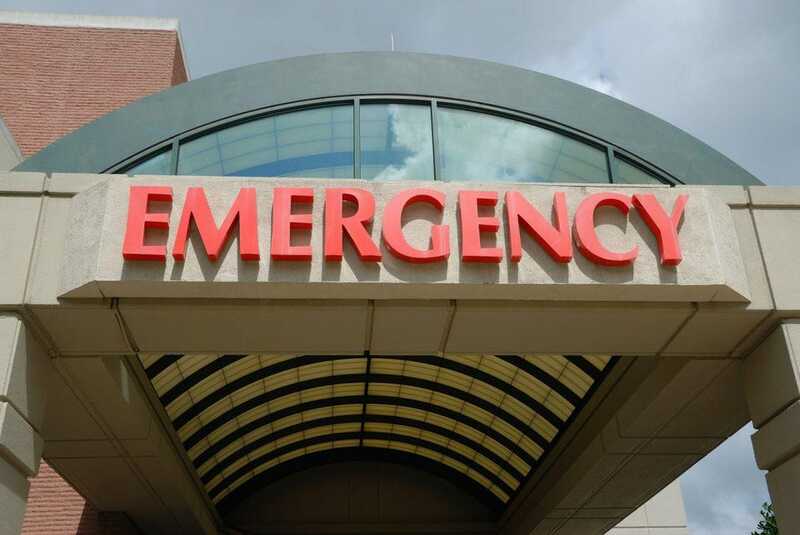 Years later, researchers at George Washington University reported emergency room use remained the same after expansion but described shifts in the payer mix leading to reimbursable services through Medicaid. While this is positive for the hospital’s financial health, what’s more notable is being insured did not change patients’ choice to seek care in the ED. So why would this be? The ED is convenient. It is open 24 hours a day and thanks to a nebulous and widely misinterpreted regulation, the Emergency Medical Treatment and Labor Act (EMTALA), a subject for another blog, anyone is entitled to an ED visit. But there is another reason offered by low-income users we have yet to acknowledge. Many people, especially those who perceive themselves as healthy, have no interest in developing and maintaining a relationship with a provider. Like any relationship, nurturing the patient-provider relationship requires time, energy, commitment and compromise. At the outset, the relationship is blemished by a power imbalance with little compromise by the provider. While accountability is important in a relationship, it is one-sided which may shift the provider from partner to badger, pest or harasser. Finally, despite intentions for partnership and shared decision-making, the rules of engagement are established by the partner with power who often fails to fully respond to the partner in need. Why would anyone willingly engage in such a relationship? Many don’t, and you can probably find them waiting in the emergency room. We talk a lot about transforming health care- reducing unnecessary expenditures, improving health outcomes, increasing patient satisfaction- but are we ready? Do we understand the sacrifices, introspection and unorthodox, counter-intuitive approaches it may require? Are we ready for the equally-balanced, patient-centered partnership we’ve been espousing, even if it means providing situational care on the patient’s terms? I’m skeptical. I suspect until we are, the one-night stands and all its attendant costs and outcomes will continue unabated. 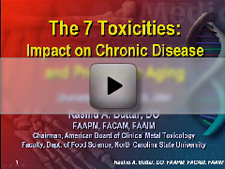 Learn the Truth About Chronic Disease such as Cancer, Heart Disease, Autism or Stroke by visiting FactsOnToxicity.com for Free Videos and Information! Could inflammation be the core cause of all chronic disease? Over a million people DIE from chemotherapy every year, but only 750,000 pass away from cancer – what’s WRONG with this picture? 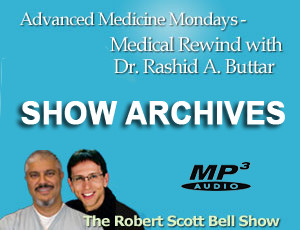 Presented by Dr. Buttar & other highly respected physicians or researchers. Each subject has the potential to impact your life or the life of a loved one, in a drastic manner.